People love sweets and so do many dogs. In fact, some dogs love their family's sweet treats and sneak bites of it when the humans aren't looking. You or your children probably also share goodies with your family pet. Many sweets are made with the substance called xylitol. Xylitol is used to manufacture many sweet tasting products including: chocolates, cookies, cakes, ice creams, other baked goods and hard candies. You'll find it in toothpaste and hygiene products, some vitamins, gums and mints. In fact, xylitol has been included in products that are sweet in nature and may be labeled as sugar-free. You may be aware that xylitol is available for bulk purchases and large quantities may be regularly maintained in your household for your family's baking and food preparation needs. Why? Xylitol is a sugar alcohol being used as a sweetener. Xylitol is often used in products for ingestion by diabetic individuals and it has less calories than regular sugar. The xylitol makes the product taste sweet and doesn't have the same effect on blood sugar that sugar products have. Eric K. Dunayer indicates in New Findings on the Effects of Xylitol Ingestion in Dogs, that even though xylitol is safe for people, the lives of dogs can be threatened by ingesting it. Just two or three sticks of xylitol gum could be toxic to a 20-pound dog. Dogs can experience liver failure due to xylitol toxicity. The substance can create changes in their blood sugar, impair it to create hypoglycemia and derail their liver so that it will not filter properly. The liver is the primary organ that controls detoxification and supports proper blood clotting throughout the body. The United States Food and Drug Administration warned pet owners that xylitol toxicity can be harmful to their dogs. The FDA also issued this warning about ferrets. Because of the known tendency of xylitol to be toxic to dogs it is critical to keep all products containing the substance out of their reach. 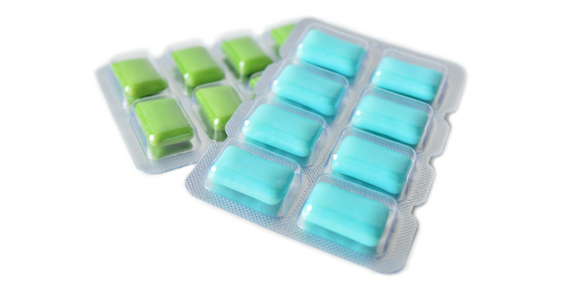 The consequences of ingesting xylitol can be catastrophic. If you think your dog has ingested xylitol immediately contact your veterinarian, local poison control center or the pet poison hotline at 800-213-6680.